MR Collection Models is located in Gerenzano, a small Italian town near Lake Como and Milan. This region is well-known for its traditional craft and artisan workers and trade’s people. 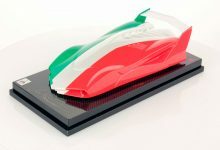 Infusing the century old tradition of the Italian handcraft and artistic history as well as modern technology, we employ around 15 people and we produce hand built model cars in 1:43 and in 1:18 scales. The company is established in 1988. Our products have been a favorite of collectors worldwide. From China, Japan, to Europe, the Americas and the Middle East, we have represented the Italian automobile passion and glory and touched the hearts of many car enthusiasts in the world. We take pride in our work and enjoy being one of the favorite brands for model collectors from many continents. In Gerenzano, many of our loyal collectors and clients from Asia and U.S.A have visited us in our factory. Our small scale products have brought the world closer to us. We have also been selected to participate in many of the special moments in automobile history. In the Frankfurt Auto Show 2009 we were part of the Lamborghini Reventon Spider release. At the Geneva Auto Show 2010 we displayed our models with the Lamborghini Gallardo Superleggera. At the Ferrari World Premier in April 2010, we have a small version of the Ferrari 599 GTO next to the real cars. 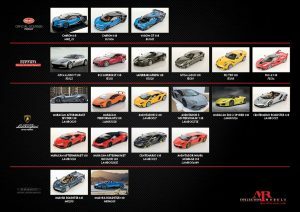 We hold official licenses for Ferrari, Lamborghini, Alfa Romeo, Audi, Volkswagen, Bentley, Bugatti and Porsche. Our team has consulted to the Mattel “Elite” line and Special Edition products. 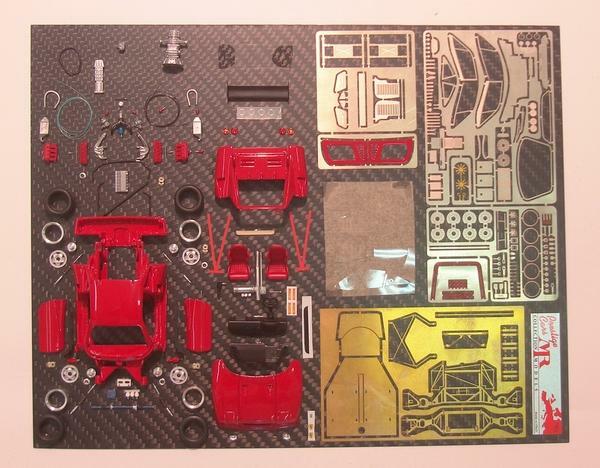 Together with Kyosho model cars of Japan, we developed the Lamborghini Countach and LP400. 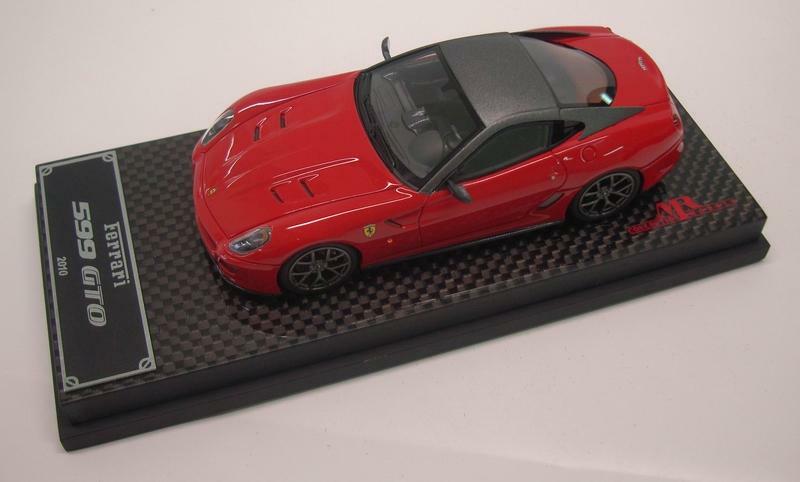 Our Ferrari FXX Evo was the first die cast model that is can open completely. We are passionate about our work and enjoy the affection and attention that our collectors have given us. We will continue to work hard in making our brands one of the best in the world and offer to our customers products of the most exquisite details and highest quality. 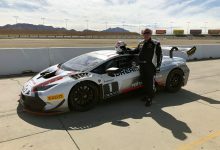 One of the most important aspects of our work involves being entrusted with a car manufacturer’s ultimate secrets & the design of their pre-released cars. To launch models with the new cars at a car show or special events, we must obtain precise details of many new model cars six months or more before it is announced. We must keep the secrets of our production for the manufacturers. MR Collection’s production process may not seem complicated at first glance, but in order to produce life-like precise and realistic scale models, a model maker must have three essential skills. First, the model maker must have a mathematical approach. The “mathematics” part of model making involves using the three dimensional CAD file reality of an automobile to scale down to its miniature format using computer design tools. From the miniature image, a set of production moulds are made. This is the same process as a real car design process. Second, the model maker must have an extremely sharp eye for detail. The quantitative scaled down version of all the parts in proportion would make the models look clumsy and fail to convey the eye catching curves and lines of the real car. So, we must use our esthetic sense to adjust the proportion to make the model catching the spirit of the real car. Third, with years of experience and accumulated knowledge, a model maker can use paint to bring alive a real car in the small scale stage. This takes a thousand ingenious technical tricks and artful dodges of a skilled hand. For this reason, the company spares no effort. We bring in specialists from near and far to paint in clinically sterile and absolutely dust-free rooms. Only a few true artists have the mastery qualifies for the paint job of MR Collection models. Our principal painter is the most sought after restorer of historic vehicles. 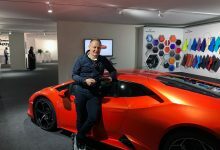 He travels from Tessin in Switzerland every day to our factory to wield the spray gun and give MR Collection models their unrivalled paint finish of 5 paint coats. With these three important skills, we can begin the making of the prototype.Using the prototype we produce the silicon moulds useful for the resin car bodies.Many of our car models have over 100 pieces involved : such as photo-etching, decals and white metal parts.Our car windows are also made with special attention. Produced in very fine acetate of 0.1 mm thickness, it gives an incomparable realistic effect . Attached with different kind of glue that are absolutely transparent leaves no traces of anything that does not belong. 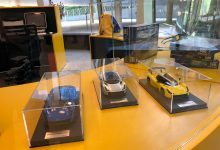 MR Collection has become a cult name among model car fans: its customers snap up each of our new miniature car with the fervor of the work from one of the great court jewelers in history. Our president realized that we have becoming part of a promising market for the future world wide automobile fans. Qualifying himself as a “self-made man”, he has opened additional production plants in addition to our factory in Northern Italy. He was the first Italian businessman to serve the Asian markets and with a subsidiary company in China some years ago. 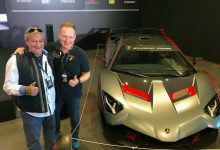 MR Collection holds official licenses and cooperate directly with the most prestigious automotive companies : Ferrari ; Lamborghini , Alfa Romeo , Audi , Volkswagen , Bentley , Bugatti and Porsche. As you can see, we love our work and we are proud to have our products in many corners of the world. We will continue to bring exciting and interesting projects as the automobiles we portray.